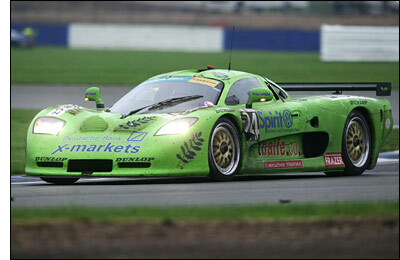 This weekend’s Britcar 24 Hours sees the first public appearance of a GT3 (test mule) Mosler – entered, naturally enough, by Martin Short’s Rollcentre Racing, the winners of the 2005 event, and Short is the man in charge of Mosler Europe. Three of last year’s winning crew – Short, Jamie Derbyshire and Nick Jacobs - are joined by Ed Morris, so all four have 24 hour experience. So does the chassis, which is last year’s winner (right), but it’s running in a different specification this time, and it could turn out to be a very significant machine going into 2007. Testing for the 24 Hours takes place tomorrow (Thursday September 7), with practice and qualifying on Friday. There’s a wider issue here than simply running the car in a GT3 specification in one race. “It’s all part of a programme to prepare the car for GT3 next year,” continues M. Short. “We’re working with Peter Wright at the FIA so that he knows what performance can be expected from the car. Undoubtedly it will need slowing down – but that puts us in a very nice position: we’ve got a strong, reliable package, one which won’t need any upgrades or changes for reliability, and the FIA will need to slow it down, rather than us try and make it faster . There’s no need to alter the basic specification from where it’s been for the last few years. Short describes the Mosler as a “fully developed, reliable, turn-key package,” and it’s hard to argue with that view. Already Moslers have competed successfully at numerous other 24 Hour races, Bathurst (a second, and then the next year, a fifth overall), Daytona (GTS class winner), the Zolder 24 Hours last month (third in class), the Spanish GT Championship (2004 winner) and in British GTs – 2003 Champion, and runner up (with the Balfe Mosler). With road cars being produced by Breckland Technologies at a rate of two each month, plus a new facility at St. Ives to produce race cars and look after road cars, Mosler Europe, Breckland and Mosler in the US are building for the long-term, and with potential interest from Britcar and Belcar customers, the GT3 version of the MT900R could become the most successful race car version yet. Existing Moslers can be converted to GT3s, so if a three-car team looks likely for next year, they wouldn’t even need to buy three new cars. "It's interesting that the Jaguar has been welcomed into the International GT3 arena already," says Martin Short, "without a car turning a wheel. "Stephane has given his blessing that we can run the Mosler in the National GT3 classes: however I am hopeful that we will be able to go International FIA GT3 sooner rather than later. We are very serious about this. We have the first of a run of six GT3 cars in build at our new facility in St.Ives. We have shown good support to British GT over the last four years, and the GT3 concept is just where we want our cars to be, but preferably, internationally as well. I would worry for my customers if they invested money in a GT3 car and then couldn't run it in the big series. I would struggle to sell the cars on the basis that they would be "good for National, and hopefully we will be going International". It's going to be a struggle isn't it? I believe Stephane wants 'manufacturer' names in GT3, and I can understand that. I hope though that he will also look after his friends.....who have cars, with pedigree, reliability, and sensible costs and pace." Martin Short is looking forward to this weekend’s Britcar 24 Hours, but certainly isn’t making any assumptions about being the favourite: he’s too experienced in endurance racing… and knows that anything can happen in events of this kind. 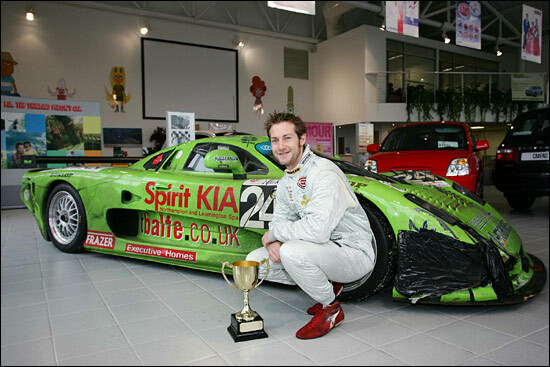 Here’s Jamie Derbyshire with the winning car last year. Snot green again Martin?